Very seldom does a comic grip you from the get go and maintain its hold throughout the entire book. 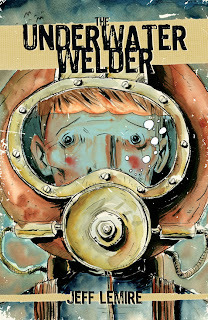 The Underwater Welder by Jeff Lemire accomplishes just that. This poignant story about fatherhood, childhood and family will keep you glued to the pages until the conclusion. To save you time, just go buy this book now. 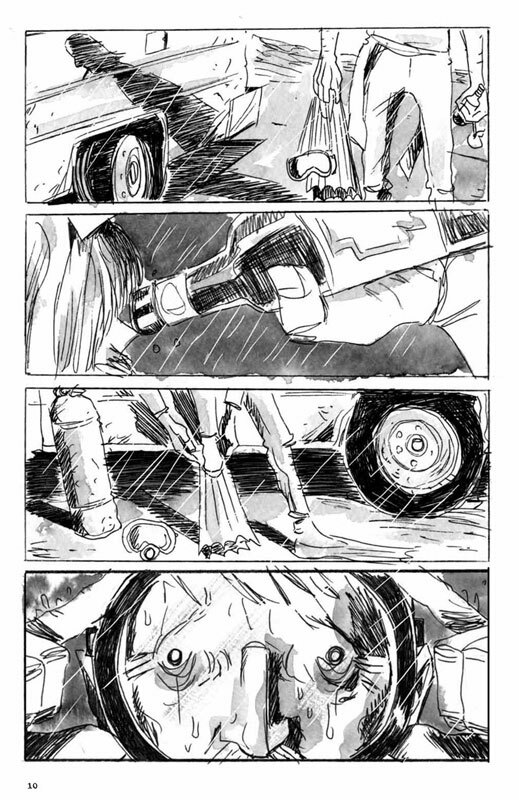 Anyone who has read Lemire’s work (Sweet Tooth, Animal Man) understands his ability to connect his characters with the reader. I often felt that Jack was peering right at me as if seeking my approval for his actions. It didn’t feel that I was simply reading a comic; it felt as if I was there with him and often found myself speaking to him. 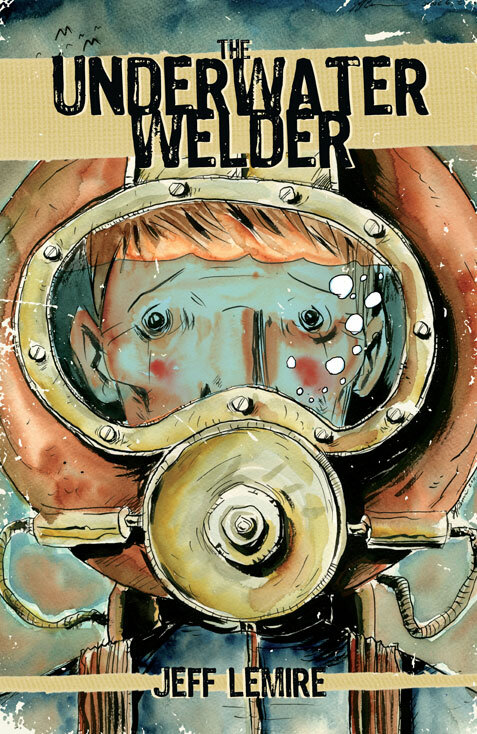 The Underwater Welder is a story about Jack, an underwater welder who works off shore on a rig. His wife is very pregnant and he is embarking on his last trip out to the rig before the little one is due. On one of his dives he is profoundly moved by a mystery he discovers and struggles with his past, his present and his future. Lemire weaves a masterful story that keeps you guessing and questioning what is real. Damon Lindelof likes it to a great Twilight Zone story and I couldn’t agree more. Lemire’s artwork once again stands out. The eyes of his characters always are effective at emoting and the unrefined lines help maintain the shroud of the unknown and effectively keep the reader on the edge of his or her seat. I was worried, I laughed, I cried, I enjoyed the Sweet Tooth Easter egg. I guess what I am trying to say is I enjoyed this book. As a father I felt truly connected to the story and it is currently my favorite book of 2012 (Sorry My Friend Dahmer). It is refreshing that small publishers like Top Shelf allow creators the freedom to embark on endeavors as unique as this one. Go buy it know! 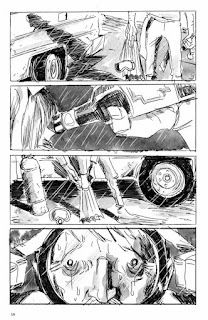 It is even available on Comixology!